Pikachu ears headband. 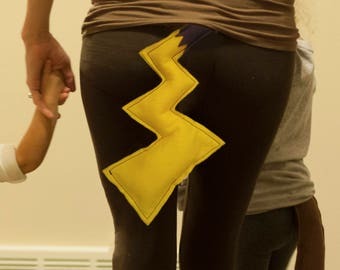 Pokemon character costume. Buy a craft, feed a baby! 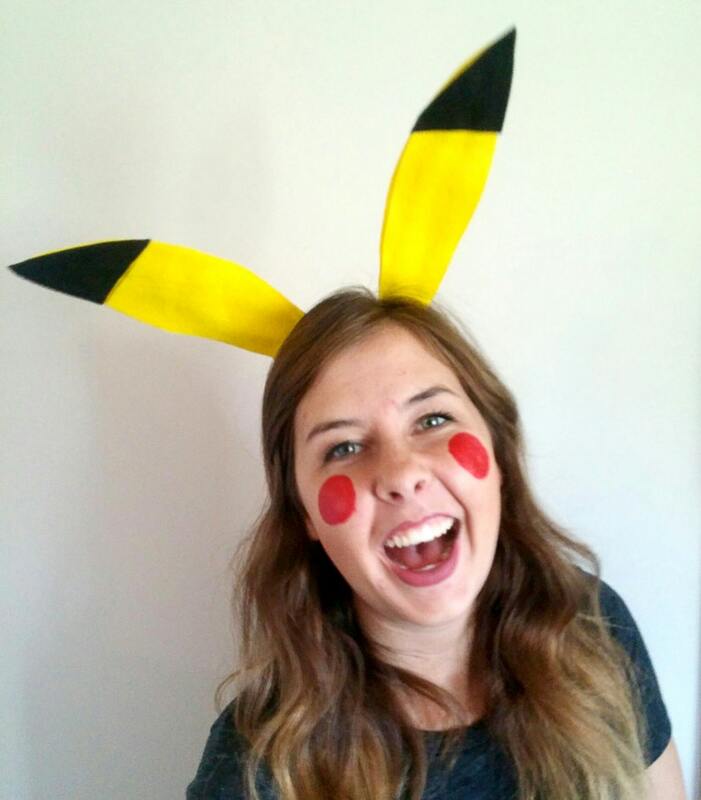 Pikachu ear headband - perfect for an easy halloween costume! Catch em all! Brown headband with yellow and black Pikachu ears. Ears are on pipe cleaners, so bendable to any shape. Plastic headband wrapped in soft brown fabric. Felt ears. Don't forget the matching tail! Need it by Halloween? No problem, just mention it in the notes. Orders placed after the 23rd may require extra shipping. Colorful generic wrapping paper - usually stripes or polkadots. Card with message included - just message me the details. Chalkboard Command Center - Entryway Message Organizer. Custom Name. Buckets on Hooks - Buy A Craft, Feed A Baby. Pattern for Outer Space Montessori Wall Activity. Toddler Gift Decor / Craftivity. Buy a craft, feed a baby. Felt Tree - Christmas Wall Activity for kids. Includes command hanging strips. Buy a craft, feed a baby. Deluxe White Christmas Felt Tree - Wall Activity. Includes hanging strips. Buy a craft, feed a baby. Printable Pattern for Felt Forest Wall. Over 30 Pieces. Interactive on Felt or Paper, 3x5 ft. Buy a craft, feed a baby. DIY Pattern for Christmas Felt Tree - Kids Wall Activity. Build a Tree! Buy a craft, feed a baby. Pattern for Felt Haunted House. Halloween Wall Decoration. Kid/Grandkid Gift Activity / Craftivity. Buy a craft, feed a baby. I Live in a Madhouse Ruled by a Tiny Army I created myself | Rustic Framed Print | Funny Home Decor for Mom Life | Buy a Craft, Feed a Baby. Very cute item! The Pikachu ears stand upright beautifully and are also flexible so I can bend them. They really do look like Pikachu’s ears in their most excited moments! Not too heavy, but heavy enough to not fly off of my head with every move. They were delivered swiftly and came in great shape. Awesome job! As described and shipped as expected. Thank you! My toddler absolutely hates the ear saying that hurts her ears but it looks cute, and we like the tail. I Live in a Madhouse Ruled by a Tiny Army I created myself | Printable | Funny Home Decor for Mom Life | Buy a Craft, Feed a Baby. Pattern for Felt Ocean Wall Decoration. Toddler Gift Activity / Craftivity. Buy a craft, feed a baby. love. Buy a Card, Feed a Baby. A6 Greeting Cards with Envelopes. oops. Sorry Apology card. Buy a Card, Feed a Baby. Greeting Cards with Envelopes.